Robbie Bryant Dunlap, age 90, of Clarksville, passed away Saturday, March 30, 2019, at White Haven, in Adams, TN. Robbie was born September 10, 1928, in Montgomery County, TN, to the late Lacy Bryant and Ora Lee Lancaster Bryant. She was also preceded in death by her husband, John Wesley Dunlap, Sr.; two sons, John Wesley Dunlap, Jr. and William "Pete" Dunlap; and four brothers, Ralph, Graham, Fentress, and William "Billy" Bryant. Robbie was a beloved mother and grandmother. A Celebration of Life Service will be held Wednesday, April 3, at 1:00 PM, with Dr. David Corman officiating. Burial will follow at Resthaven Memorial Gardens. Visitation will be Wednesday, April 3, from 11:00 AM until the hour of service, at the funeral home. 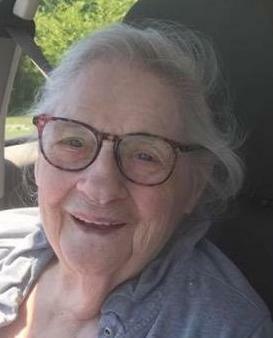 Robbie is survived by her daughter, Tammy Dunlap (Gregory "G" Vinson) of Clarksville; four grandchildren, Chad Abbott, Steven Woodring, Brandon "Buster" Woodring, and Theodore Dunlap; twelve great grandchildren; and two great-great grandchildren. Pallbearers will be John Smith, Booger Watson, James Buchanan, Jim Scott, Bill Langford, John Ripon, Larry Smith, and Chuck Shiton, who are all members of Bikers Who Care. Honorary pallbearers will be Brandon Woodring, Leahann Nicole Woodring, and Theodore Dunlap.